This is the second card that the girls in Lismore made. They requested that this card be non-gender specific and non-occasion specific. That’s some brief! These particular girls love the Sincere Salutations stamp set. There is is eight greetings in the set and they all fit in the large oval punch. This allows the greetings to be inter-changable. 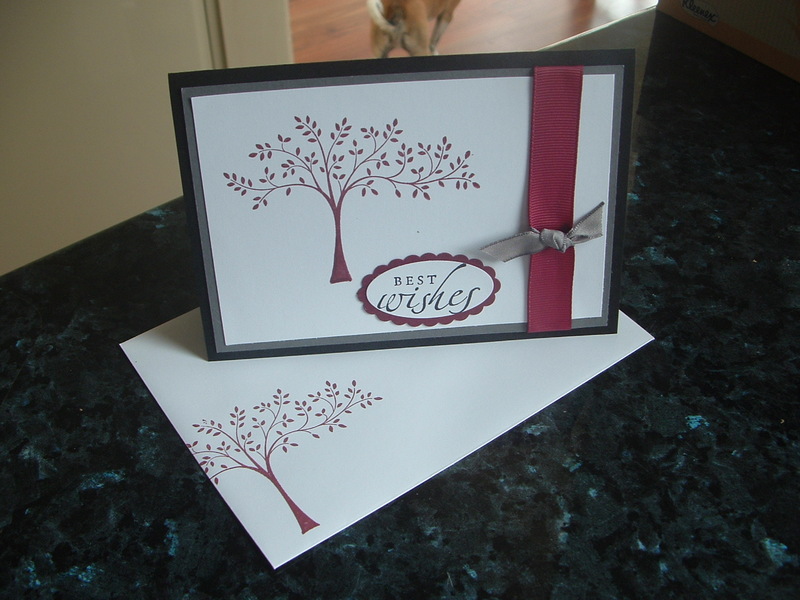 Then with a contrast cardstock punched out with the oval scallop punch, a touch of sponging and Voila! 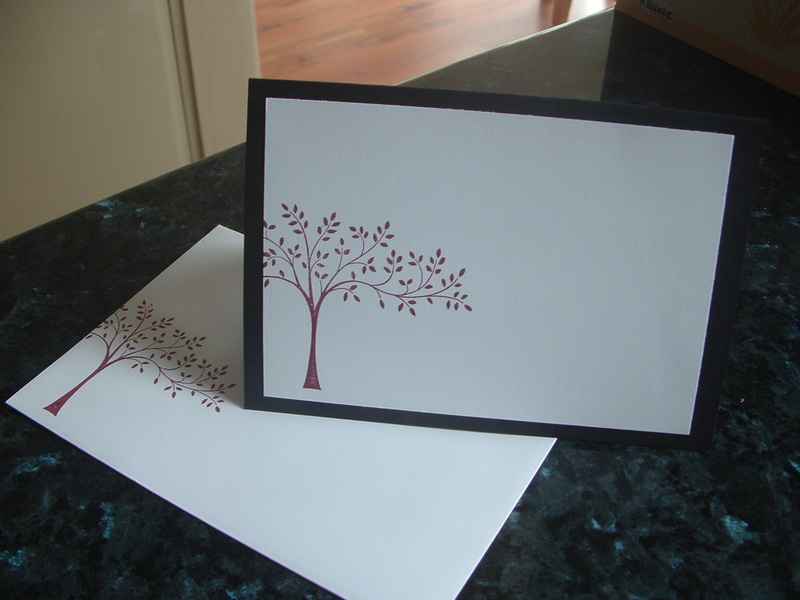 Instant WOW factor…… This card is at home as a birthday card for both males and females, a thank you, a sympathy, a get well or just a ‘Hello I’m thinking of you’. The stamp set I’ve used is actually a sympathy stamp set, but I just love taking a specific set and finding lots of other uses for it. Come back later in the week and I’ll show you just how this same stamp set can be simply stunning in many other ways. This is the inside of the card. I’ve just repeated the tree image but only used 2/3. The same is on the envelope. I hope you love this card as much as I enjoyed designing and preparing this stamp-a-stack. Remember 10 cards for $20, including inserts and envelopes. The other gig that I love to do is an old fashioned demonstration………. Demonstrations are absolutely free. No strings attached. I come to your house (or you can come to mine!) I prepare two cards for you and your friends to make. Nothing too complicated and always lots of fun. The hostess receives free product and a stamp set (depending on sales figures). Who doesn’t love free stuff?????? Regardless it’s always a fun time of creativity, chat, laughter and then coffee. What have you got to loose?????? Call me now and arrange a SAS or demonstration. If you act before the end of March for every $100 you or your guests spend you receive an additonal stamp set. Get your demo over the $600 mark and you’ll receive a further free stamp set. Call or email me now. As promised I will be using the stamp set Thoughts and Prayers more this week so come on back and check it out.